Uchikomi is a discipline that permeates nearly all Japanese martial arts. 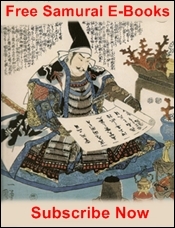 The term means to strike the target, however, as with all things Japanese there is a deeper meaning. Uchi typically means 'hit' or 'strike'. Komi meanwhile means 'inclusive', 'in bulk' or 'crowded'. That's an odd word to use in this context. One could translate uchikomi then as strike the bulk of a thing, or strike a mass. However when I think of this I look at it from my swordsmanship, karate and combat training. I think of it as putting everything, all that I am (being inclusive), using my full bulk, into a precise target. Hitting with nothing less than the totality of my being. And we see the development and practice of this type of strength training in different ways. For instance within Shotokan Karate we have the striking of the makiwara, a board sunk into the ground and wrapped in rice straw. Contacting the makiwara with the full force and power of the body concentrated in to a square inch on knuckle or bone. The impact is devastating. But conditioning in this way, strengthen the tendons and ligaments and the muscles - the momentary isometric load throughout the body is incredible. Building not just our muscle and connective tissue but solidifying and densifying the bones themselves. The same is done in sumo wrestling. In many traditional sumo stables there is a large wooden pillar, dented and hard from the repeated full body powered open hand strikes of the sumotori. This is called teppo. In Judo the full body commitment is also seen in the technique of uchikomi where the whole body is hurled into an opponent to set up a throw. 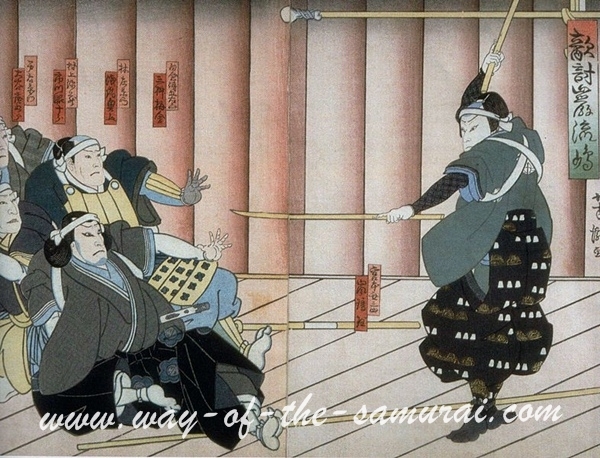 Within Kendo it is used to practice specific targeted strikes. Within the study of the sword in combat the daily uchikomi training teaches not just devastating precision in one's strikes but the use of the full body in the delivery of these cuts. 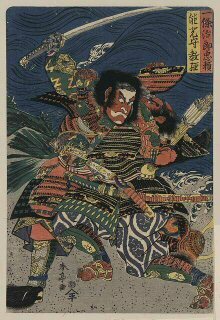 Traditionally within the koryu (old methods) bujutsu of feudal Japan uchikomi was not just a full force activity but a full soul activity. It requires a remarkable summoning of spirit to maintain full force, accurate cutting. The key to is two-fold - once again strongly suggesting the underlying concept of Yin and Yang (covered in detail in another article). The Yang, the active fierce strong element of this is evident - the full force strike and movement of the body. But the Yin - is the true strength of these exercises; the momentary Isometric pause in which the body absorbs the equal force of the strike itself. Every reaction as an equal and opposite reaction. 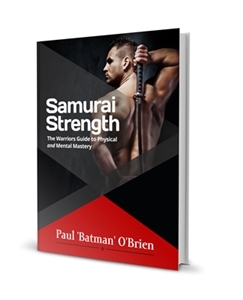 When you strike the makiwara with the full force of the body is you cannot apply an equal strength of stillness, Isometric strength you will simply be bounced off the target and struck with the same force that you are struck with. The same is true in swordsmanship - a powerful swing was necessary on the battle field, however, if you could not contain the force that returns to the body with such a blow, then it would be for nothing. 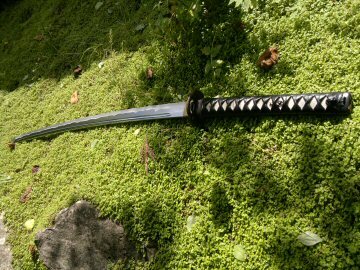 And such strength was needed - as the sword would often blunt and fail on the field of battle, with the greatest of swordsmen, Miyamoto Musashi, giving up the sword itself to use a wooden sword, a bokken instead. 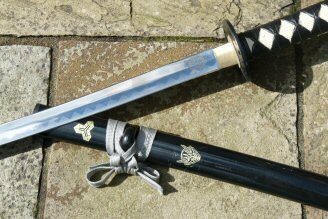 The bokken does not blunt, and wielded correctly is devastating in its lethality and should it break it can quickly and inexpensive replaced unlike a sword. 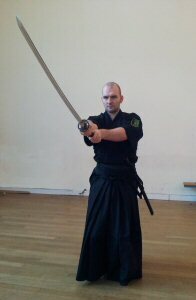 While we use the bokken in uchikomi it is important to respect the power and lethality our cuts and hits can deliver. Uchikomi represents the perfect balance of both Yin and Yang in our training. From devastating physical movement, delivered with the full strength of the body, to the Yin Isometrics, unflinching absorbing that through the body and using that to deliver another devastating strike. Beyond that there is the Yang of the body and it's physical work and the Yin of the mind provides the focus and determination to full engage the body in each strike. It is truly one of the most powerful and important methods of power forging. Physical, mental and emotional. It is excellent tanren. These will be covered in detail in later articles.